The Better Angels of Our Nature by Steven Pinker shocked the whole world about its main thesis; the world is actually getting better in the past decades. Released in 2011, the book continues to gain popularity in the past years. Bill Gates even described the book as one of the most important books ever published. It is true that the 20th Century is the bloodiest in world history. Hundreds of millions were killed in wars, famines, and genocide. But many statistics and graphs showed how wars and crimes are declining in the civilized world. The initial chapters of the book might be hard to read due to grisly descriptions of torture, war, genocide. But the remaining chapters were set in a more optimistic tone. If the world is getting better, why do we still get news of wars, suffering, and crimes? It should be noted, that the media thrives on negativity and sensationalism. Good and inspirational news does not get the same attention and rarely gets headlined. The book is well received by many literary critics. The book is quite long, it spans nearly 1000 pages full of concrete facts in the fields of science, history, and philosophy. 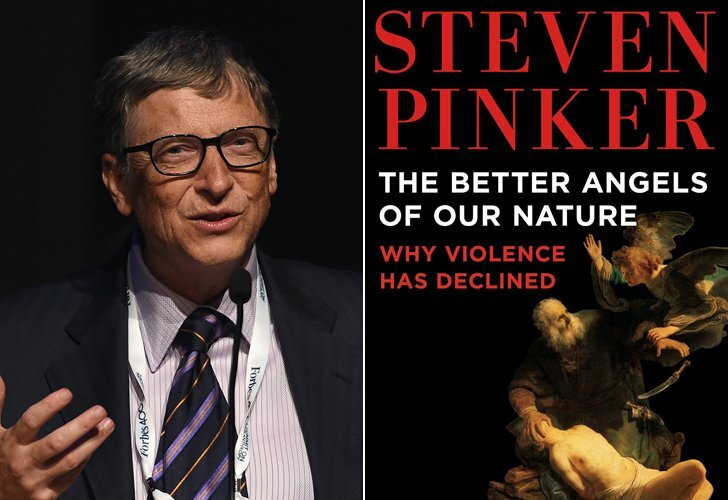 You can watch the video of Bill Gates and Steven Pinker above, taken from Bill Gates' official YouTube Channel.